Capitol T1226 | Brad's All Vinyl Finds! 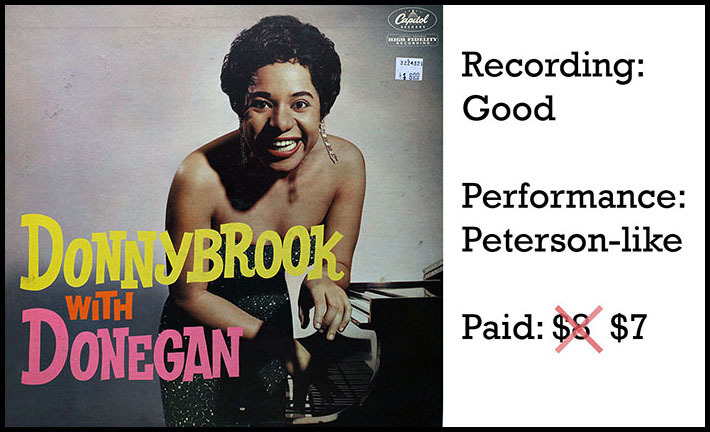 I picked up Donnybrook With Donegan (1959, Capitol T1226, in mono) thinking it was Dorothy Dunn, another jazz musician you’ve probably never heard of. Once the stylus hit the vinyl I knew that this Dorothy was someone else, and WHEW, is she ever. Tell Oscar Peterson to make room on the bench, ’cause Dorothy Donegan, in my not so humble opinion, is just as technically talented as he is.